Even the most dedicated of letter-writers could not hope to respond to all these queries personally. I have therefore accepted the offer from Messrs. Carrigdon & Rudge to publish a series of memoirs, chronicling the more interesting portions of my life. By and large these shall focus on those expeditions that led to the discovery for which I have become so famous, but there shall also be occasional digressions into matters more entertaining, personal, or even (yes) salacious. One benefit of being an old woman now, and moreover one who has been called a “national treasure,” is that there are very few who can tell me what I may and may not write. Be warned, then: the collected volumes of this series will contain frozen mountains, foetid swamps, hostile foreigners, hostile fellow countrymen, the occasional hostile family member, bad decisions, misadventures in orienteering, diseases of an unromantic sort, and a plenitude of mud. You continue at your own risk. It is not for the faint of heart — no more so than the study of dragons itself. But such study offers rewards beyond compare: to stand in a dragon’s presence, even for the briefest of moments — even at the risk of one’s life — is a delight that, once experienced, can never be forgotten. If my humble words convey even a fraction of that wonder, I will rest content. We must, of course, begin at the beginning, before the series of discoveries and innovations that transformed the world into the one you, dear reader, know so well. In this ancient and nearly-forgotten age lie the modest origins of my immodest career: my childhood and my first foreign expedition, to the mountains of Vystrana. The basic facts of this expedition have long since become common knowledge, but there is much more to the tale than you have heard. Sparklings were not the only things I collected in those days. I was forever bringing home other insects and beetles (for back then we classified sparklings as an insect species that simply resembled dragons, which today we know to be untrue), and many other things besides: interesting rocks, discarded bird feathers, fragments of eggshell, bones of all kinds. Mama threw fits until I formed a pact with my maid, that she would not breathe a word of my treasures, and I would give her an extra hour a week during which she could sit down and rest her feet. Thereafter my collections hid in cigar-boxes and the like, tucked safely into my closets where my mother would not go. I was organized, if not perfectly sensible, in my approach to the work. I had seen the maids plucking birds for the cook, so I understood that the first step was to remove the feathers — a task which proved harder than I had expected, and appallingly messy. It did afford me a chance, though, to see how the shaft of the feather fitted into its follicle (a word I did not know at the time), and the different kinds of feathers. When the bird was more or less naked, I spent some time moving its wings and feet about, seeing how they operated — and, in truth, steeling myself for what I had determined to do next. Eventually curiosity won out over squeamishness, and I took my brother’s penknife, set it against the skin of the bird’s belly, and cut. The smell was tremendous — in retrospect, I’m sure I perforated the bowel — but my fascination held. I examined the gobbets of flesh that came out, unsure what most of them were, for to me livers and kidneys were things I had only ever seen on a supper plate. I recognized the intestines, however, and made a judicious guess at the lungs and heart. Squeamishness overcome, I continued my work, peeling back the skin, prying away muscles, seeing how it all connected. 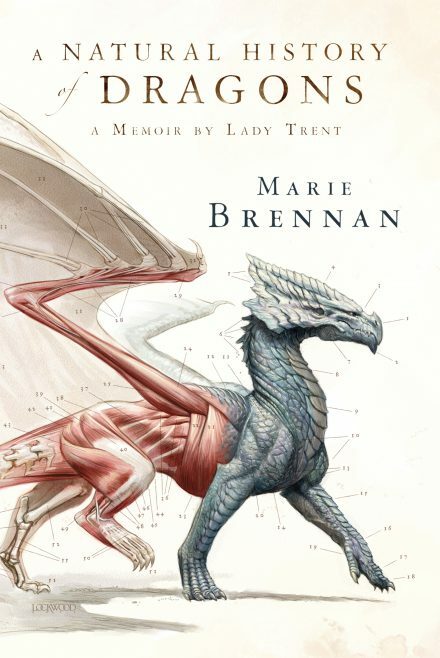 I uncovered the bones, one by one, marveling at the delicacy of the wings, the wide keel of the sternum. I will not tax my readers with a detailed description of the treatment I received at that point; the more adventurous among you have no doubt experienced similar chastisement after your own escapades. In the end I found myself in my father’s study, standing clean and shame-faced on his Akhian carpet. Out it all came, in a flood of words, about the dove I had found (I assured him, over and over again, that it had been dead when I came upon it, that I most certainly had not killed it), and about my curiosity regarding the wishbone — on and on I went, until Papa came forward and knelt before me, putting one hand on my shoulder and stopping me at last. Like Greenie, that book still sits on my shelf. My father had given me Gotherham’s Avian Anatomy, and though our understanding of the subject has improved a great deal since Gotherham’s day, it was a good introduction for me at the time. The text was only half-comprehensible to me, but I devoured the half I could understand and contemplated the rest in fascinated perplexity. Best of all were the diagrams, thin, meticulous drawings of avian skeletons and musculature. From this book I learned that the function of the wishbone (or, more properly, the furcula) is to strengthen the thoracic skeleton of birds and provide attachment points for wing-muscles. Where siblings are concerned, I was, as I have said, the fourth in a set of six children, and the only daughter. Most of my brothers, while of personal significance to me, will not feature much in this tale; their lives have not been much intertwined with my career. The books he took on my behalf, of course, were nearly all of natural history. My horizons expanded from their winged beginnings to creatures of all kinds: mammals and fish, insects and reptiles, plants of a hundred sorts, for in those days our knowledge was still general enough that one person might be expected to familiarize himself (or in my case, herself) with the entire field. Some of the books mentioned dragons. They never did so in more than passing asides, brief paragraphs that did little more than develop my appetite for information. In several places, however, I came across references to a particular work: Sir Richard Edgeworth’s A Natural History of Dragons. Carrigdon & Rudge were soon to be reprinting it, as I learned from their autumn catalogue; I risked a great deal by sneaking into my father’s study so as to leave that pamphlet open to the page announcing the reprint. It described A Natural History of Dragons as “the most indispensable reference on dragonkind available in our tongue;” surely that would be enough to entice my father’s eye. Once I escaped from my lesson, I began in on the book straightaway, and hardly paused except to hide it when necessary. I imagine it is not so well-known today as it was then, having been supplanted by other, more complete works, so it may be difficult for my readers to imagine how wondrous it seemed to me at the time. Edgeworth’s identifying criteria for “true dragons” were a useful starting point for many of us, and his listing of qualifying species is all the more impressive for having been assembled through correspondence with missionaries and traders, rather than through first-hand observation. He also addressed the issue of “lesser dragonkind,” namely, those creatures such as wyverns which failed one criterion or another, yet appeared (by the theories of the period) to be branches of the same family tree.